The detailed guide to fire investigations is an ever changing environment. This document is peer reviewed and published every three years. 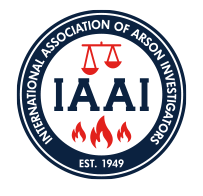 IAAI - Global Leaders in Fire Investigation® offers the most up-to-date training for the new edition; presented by members of the NFPA 921 Technical Committee. By understanding the changes affecting the investigations of fire and explosion scenes you will be better prepared to investigate, present and articulate your case and opinions.